Anupama Natarajan: The SQL Server instance that you are trying to connect does not include an installation of Data Quality Services. The SQL Server instance that you are trying to connect does not include an installation of Data Quality Services. The SQL Server instance that you are trying to connect does not include an installation of Data Quality Services. 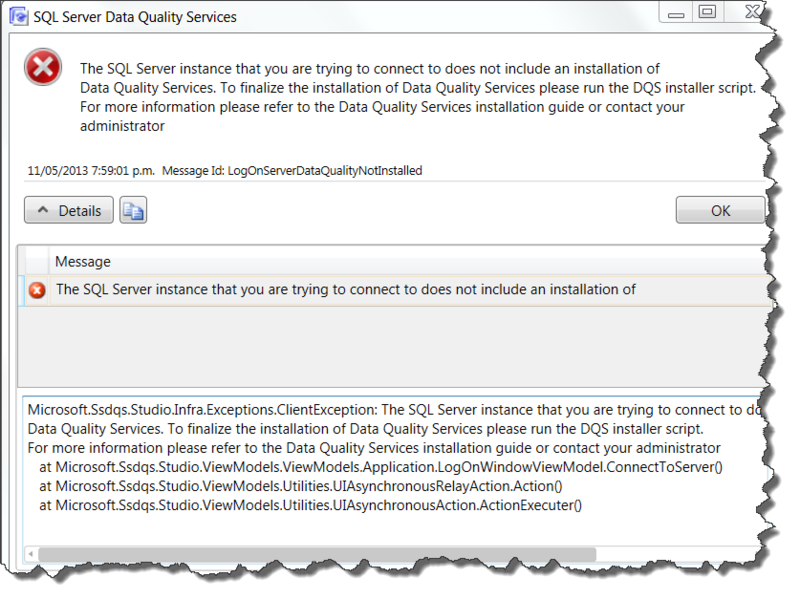 To finalize the installation of Data Quality Services (DQS) please run the DQS installer script. This error occurred when trying to connect to the SQL2012 instance using DQS Client. 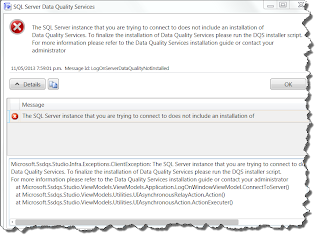 Make sure to run the Data Quality Server Installer under Microsoft SQL SERVER 2012 > Data Quality Services and then try connecting to the SQL2012 instance again.